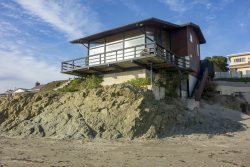 These homes are located south of Morro Rock near Downtown, the Embarcadero and the State Park. You can walk to town from most of these homes to enjoy many restaurants, bars, shopping and even take in a movie. Each one of these homes enjoys bay views and sometimes ocean views.